I’ve been following The Garten every step of the way since the first bolt and nut were put together to make its iconic dome. It’s hands-down my absolute favorite venue, and this year it’s coming back with the same winning set-up, only even better if that’s possible. 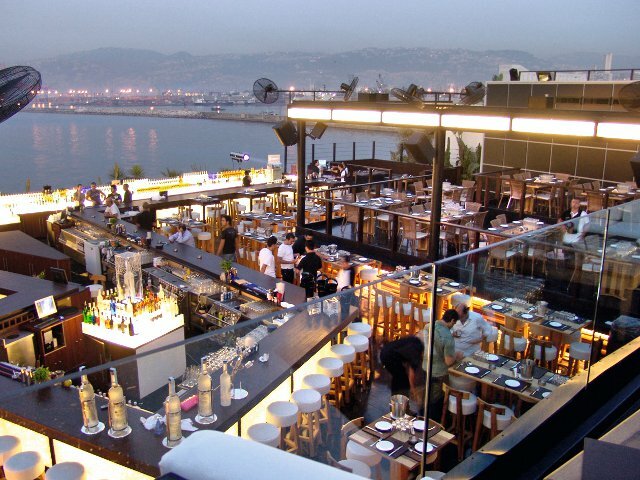 There’s a very good chance you’ll bump into me there every Saturday this summer, the one day The Garten opens in its Beirut Waterfront venue. Here’s their Facebook. 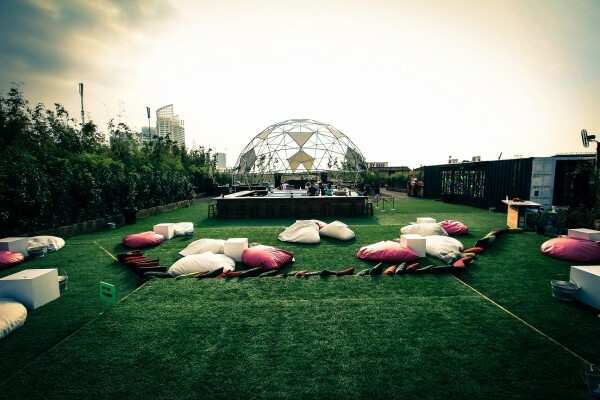 The luxury, glitzy rooftop is opening up the same night as The Garten, but given the very different crowds and scenes, they’ll both be packed. For make-up, heels, cigars and a lot of gel and hairspray, this is where you want to be, catered to with music you’ll hear on the radio Top 40 charts on your drive down. I’m not sure who the big guest star is for the opening night, but I’ll tell you when I find out! If I feel like stepping out of the underground scene for a day or two, and slap on some slick pants, shirt and kicks, White is where I’d go. The usual commercial blend of music is interrupted by decent intermissions of everything from deep house, to trap music. Their resident DJs are great, and the venue is one of my favorite, which allows relative ease of motion in the always packed all-white venue. They do RnB on Wednesdays too, which is one of their hallmark nights for years now. There’s something different about Pier 7 this year, but, one thing I will assure you of is that it’s gonna be very different from years past. 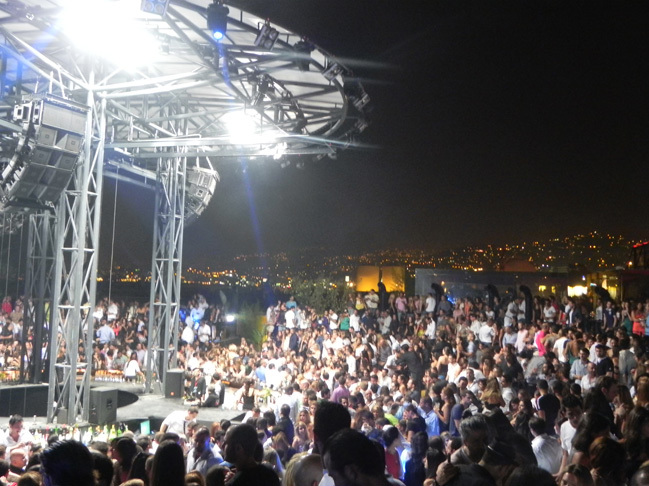 I guess their underground music series last year that included living legends like Gui Borrato, Booka Shade and many others was a hint about the venue’s transformation into something more than your average glam and glitz open-air club in Beirut. It started on Wednesday night and it was a packed house. 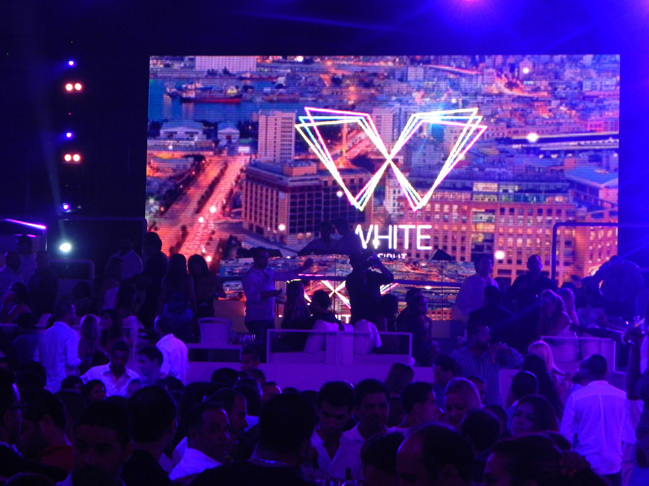 The iconic Sporting Club venue is back, with the backdrop of Beirut on one side, landing airplanes on the other and the Raouche rock formations on the other, you’ll enjoy the sets and salty breeze that was a staple of last summer’s weekends. As the name suggest, it’s happening at Sporting almost every Saturday, so check their Facebook page before putting your flip-flops on! If you take the C U NXT SAT crowd, switch the second 9 with an 8 in their birth dates, and a dash of sophistication, you’ll get the Decks on the Beach peeps. The slightly more nu-disco geared party crew is also a staple of summer weekends in Beirut, and they set up shop every Friday at Sporting Club in Raouche. So, if you’re in the mood for a crowd slightly on the older side but still parties like hell, then this is where you wanna be on Fridays!